Questions? We're here to help answer any of your queries. How does the Writer's Block program actually work? Are you sure the Writer's Block program actually works? What's the story behind binaural beats? What could I use the Writer's Block program for? Who else uses the Writer's Block program? Do I get support with my purchase, just in case I need it? The Writer's Block program works by stimulating the creative parts of your mind to get you generating ideas! The audio session works by sending different tones to each ear, thereby generating a third "binaural beat" inside the head. This binaural beat uses frequencies specifically designed to stimulate creativity and get your mind producing ideas in record time. It works like a charm. And literally is creativity... on demand! You can learn more about the science behind binaural beats by clicking here. Absolutely! Not only is the science behind the Writer's Block program well established, but we consistently receive totally unsolicited testimonials from writers across the globe. You're welcome to research the world of binaural beats prior to purchasing. One good resource is the Binaural-Beats.com Web site, which provides excellent information on how the entire process works. Rest assured however: it's not only totally safe, but it genuinely works. Click HERE to snap up your copy at our current special offer price of $39.95, with FREE S&H! Binaural beats were first discovered by German scientist H.W. Dove in 1839. When you send two different tones to each ear, a third "binaural beat" is generated inside the mind. The frequency of this binaural beat can influence the brainwaves. Initially this was used to aid simple meditation, by putting the brain into the relaxing alpha frequency. Using EEG readings, modern science has now been able to pinpoint exactly which frequencies stimulate key states of mind. This means recordings can be produced to create specific results -- such as elevating your mood, or boosting your creativity. Binaural beats are totally safe and based on sound scientific research. As binaural beat recordings haven't yet reached the mass market, they're still something of a secret unless you're "in the know." You can learn more about the history behind binaural beats by clicking HERE. People use the Writer's Block program whenever they need to generate ideas or overcome obstacles and need a healthy dollop of inspiration. Perhaps you've written yourself into a corner, or need help coming up with a new key character, or maybe you just want ideas as to what you should call your next book. It's doesn't matter. The Writer's Block program is designed to give you answers whenever you have questions. Just sit back, hit "Play" and let the ideas appear! Our client list looks like a positive Who's Who of industry greats! We have a long list of hobby writers and big names authors (such as Nick Daws), all using the Writer's Block program every single day. Even technical writers and marketing leaders at big name corporations use the Writer's Block program. Corporate customers of other Self Development Network products include AT&T, the US Army, IBM, FedEx, the BBC, British Telecom, UPS, Fujitsu, Toshiba, Network Solutions, Sun, Deloitte & Touche, Dow Jones, Merrill Lynch, the Discovery Channel, Time Warner, Nationwide Insurance, Xerox, Intel, KPMG, and even Microsoft. How long will my program take to arrive? 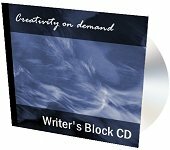 Your copy of the Writer's Block program will be delivered immediately via digital access, after purchase look for an email with login details on how to access your digital audio program. Of course! The Writer's Block program does include an audio introduction, so you'll know just how to use it, plus we'll send you an e-mail after you purchase with full instructions. However we know that you may still have questions! You can get unlimited assistance online at GlobalWritingNetwork.com, our dedicated support site. It's totally free of charge and we promise to answer all queries within one business day, though our typical response time is just four hours. We also provide online chat support during peak periods so you can always get help when you need it. Absolutely! You can earn up to 35% on every single copy sold, just by signing up for an affiliate account and linking to us. We pay you after 35 days, instantly via the payment service, PayPal. To learn more and signup for FREE, please click HERE.